Whether used for a deck, fence, siding, or furniture, wood adds character and increases the value of your outdoor living space. The beauty and value is enhanced with Superdeck Transparent Stain. Adding a warm glow and showing 100% grain clarity, Transparent Stain emphasizes wood’s uniquely natural beauty and strength. 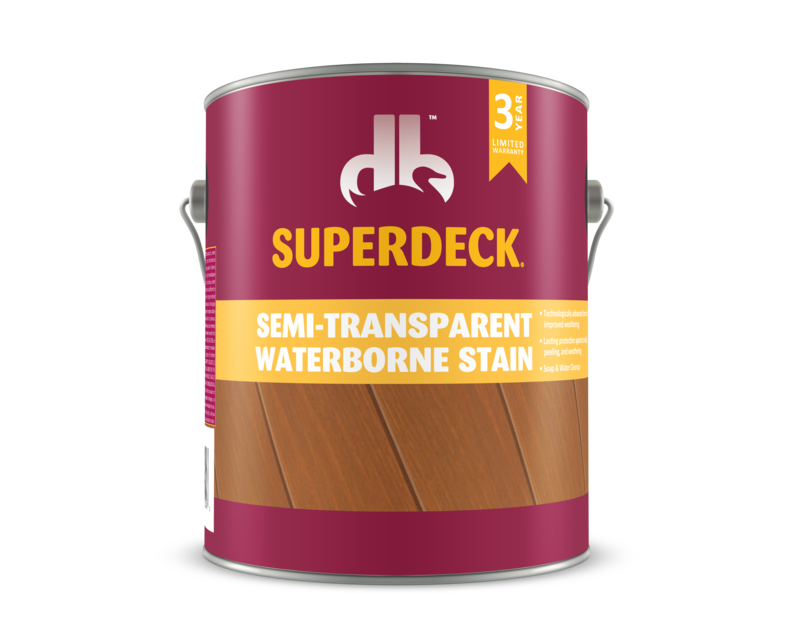 Superdeck Transparent Stain is formulated for use on any exterior wood surface including decks, fences, siding, outdoor furniture, shingle shakes, hot tub skirting, and more. All exterior wood including redwood, cedar, pine, pressure treated wood and more. All surfaces must be clean, dry, and free from dirt, mildew stains, dust and other foreign matter. Do not apply over sealed surfaces. 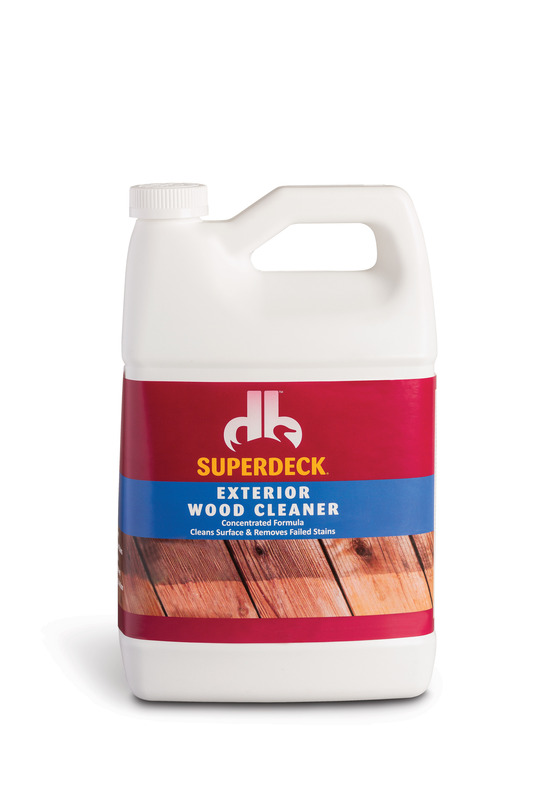 Remove surface stains, dirt and failed oxidized stains with Superdeck® Wood Cleaner. 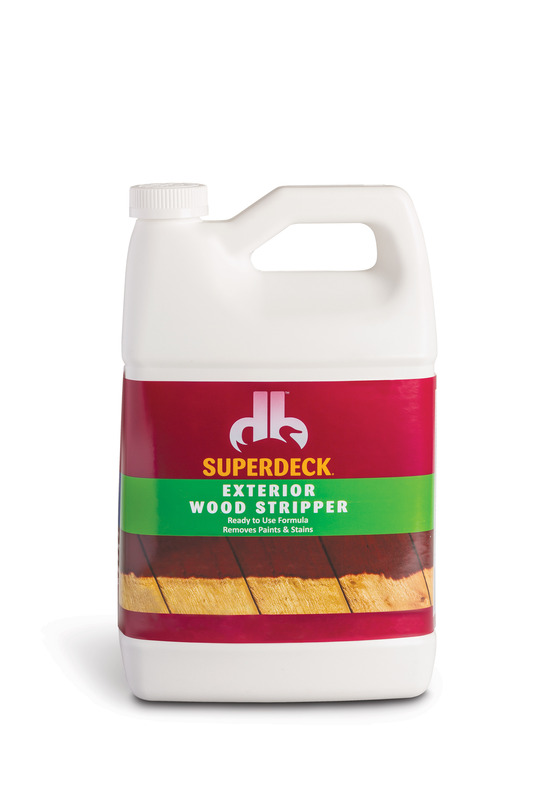 Remove solid stains or paints with Superdeck® Wood Stripper. For redwood and cedar, follow cleaning or stripping with Superdeck® Wood Brightener to remove tannin stains and brighten wood to its original color. 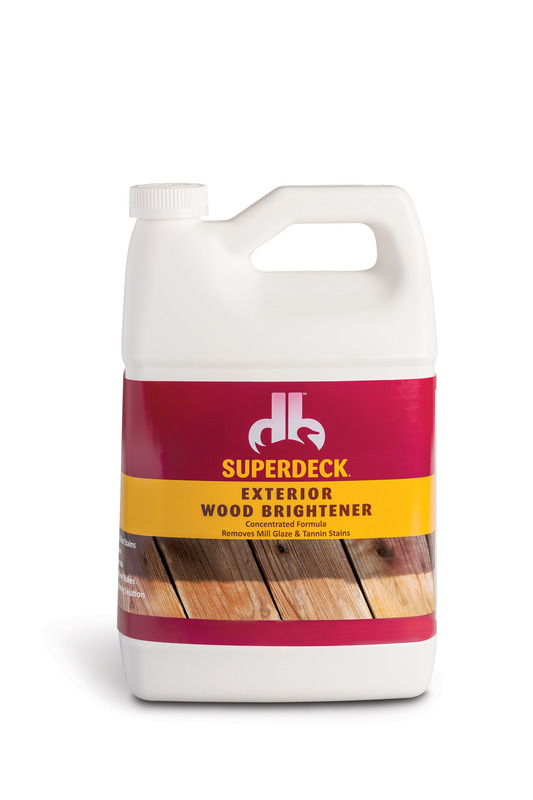 For new wood remove mill glaze with Superdeck® Wood Brightener. Product should be shaken or stirred before and during application. When using more than one container of product, intermix all product and stir well to ensure color consistency. Product may be brushed, rolled or sprayed. If sprayed, use the lowest possible pressure needed for a reasonable spray pattern. Back rolling is suggested when spraying, working the product smoothly and evenly into the wood. This will decrease the possibility of pools or puddles on the surface and ensure a properly penetrated finish. Different wood species, textures and natural color will affect finished shade. Always test a small area first for color satisfaction before coating entire project. Apply at a rate the wood will absorb. Do not pool or puddle product on surface. Excess product allowed to sit on surface will result in a tacky finish and extended dry time. Remove tacky finish with a mild solution of Superdeck® Wood Cleaner after 24 hours. When properly applied, the wood surface will have a positive dry and the wood fibers beneath the surface will maintain excellent lubrication. Thoroughly coat the porous ends of all boards with product. One coat depending on wood porosity and wood moisture content. 40° F.–95° F. Do not apply if wood surface is hot to touch or if rain is likely to occur. 8 hours to touch, 24 hours for traffic; depending on weather conditions. Approximate spread rate: Smooth Surfaces: 250–350 sq. ft./gal. ; Rough Sawn: 150–250 sq. ft./gal. Clean brushes and equipment with mineral spirits or paint thinner following product manufacturer's directions. Dispose of empty container or unused portion in accordance with local, state, and federal regulations. Important Note: Computer screens and printers vary in how colors are displayed, so the samples shown on this page may vary slightly in color, sheen or finish from actual product and individual results. Always test a small area and let coating dry to ensure color satisfaction before coating entire area.